The difference between striploin and sirloin is one that confuses a great many people. An online search is likely to provide you with various answers, including some stating that they are one and the same thing. 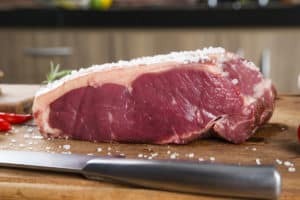 The source of the confusion is that striploin is indeed called the sirloin in some parts of the world; however, it is more commonly known as New York Strip in the US with sirloin being a different cut of meat. That said, these two steaks possess different qualities. Below, we will look at what they each have to offer and how they compare to each other in another BBQ Showdown. What is the difference between striploin and sirloin? The main difference is that they come from two somewhat (but not entirely) different parts of the cow, but we will get into that later. Aside from their respective primal cuts, their difference lies in their fat content and the resulting flavor. Striploins are popular for having a delicate texture and a rich, buttery flavor. While they do not have as high a fat content as ribeyes, they do have more than sirloins. This means that their flavor is significantly richer as well. It is worth noting that striploins consist of the same muscle that makes up ribeye steaks. Sirloin steaks consist of meat that is leaner than that of striploins and is not quite as tender. As a result, they have a higher potential for being less moist but are also a healthier cut of beef. Where on the cow are these steaks sourced? Both steaks are considered parts of the same loin primal cut. The striploin is cut from the short loin which is located at the front of the hip bone. The meat from this part of the animal is much more tender. The sirloin is cut from the part of the loin primal that is closer to the rear leg and is a little tougher. Which is easier to grill? 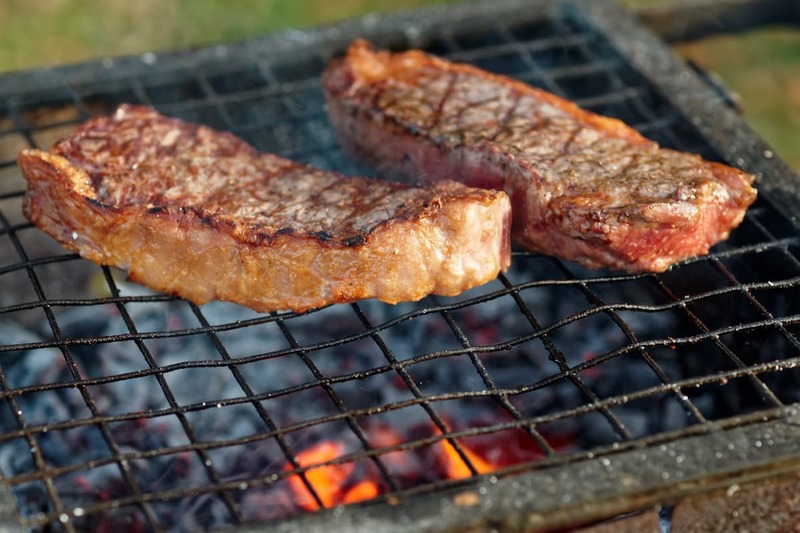 Striploins are considered easy to grill because they are relatively lean. While they are marbled, they are not as fatty as ribeyes and are therefore less likely to drip fat and cause flare-ups. Flare-ups can cause the meat to char. Sirloins are leaner so while they are not likely to drip much fat, their leanness can make them tough and dry if they are cooked for too long. Because not as much care has to be taken to prevent charring when grilling a sirloin, most cooks would probably agree that it is the easier of the two to cook on a grill. Striploin steaks are in much higher demand. The demand exists because they are the more tender cut of meat with more marbling. As a result, they fetch a higher price. In comparison, the relatively low-fat sirloin is an affordable steak. When should you use striploin and when should you use sirloin? If you want a more luxurious steak without having to spring for a ribeye, striploin is about as good as you are going to get. Choose it if you want a reasonable, well-marbled steak that is not quite as cholesterol-laden as a ribeye. If you want a lean piece of meat that will still provide a satisfactory steak-eating experience without a high cost, go with the sirloin. Sirloin is also the better option if you do not want to spend time hovering over your grill as the steak cooks, just in case you have to shift it to prevent charring.